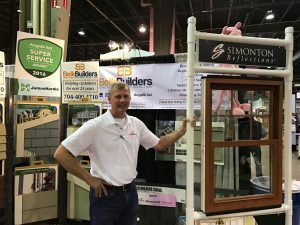 At Belk Builders, we often have the opportunity to work on some unique and interesting projects. 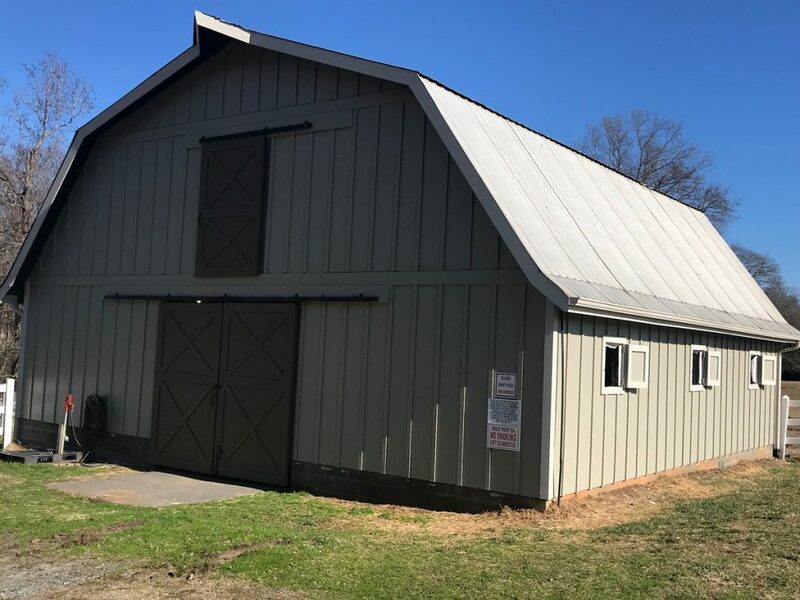 Recently, we installed new siding on a horse barn at Black Horse Run in Waxhaw, NC. 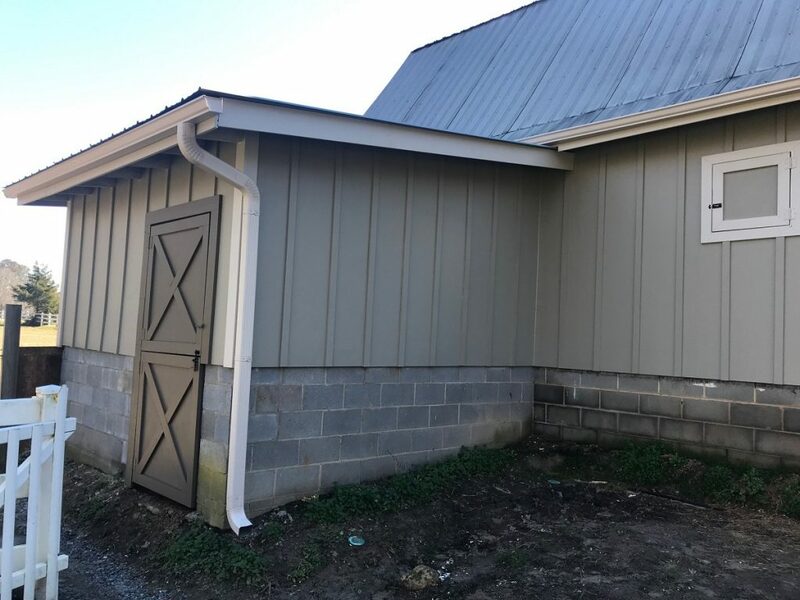 Even though the barn isn’t a residential home—it’s still needed the same attention detail to ensure that the siding performs as expected and attractive. Our meticulous attention to the details other companies overlook is another reason we are the favored Waxhaw Hardiplank siding installer. Here’s how we transformed a worn barn into a new, stunning structure. To begin the job, the structure had to be prepped. In this case, all existing siding was stripped down to the studs for a clean installation. Once the demo was complete, the team installed OSB for structural density and dimension followed by HardieWrap® weather barrier. Batten strips were added ever 16” as well. 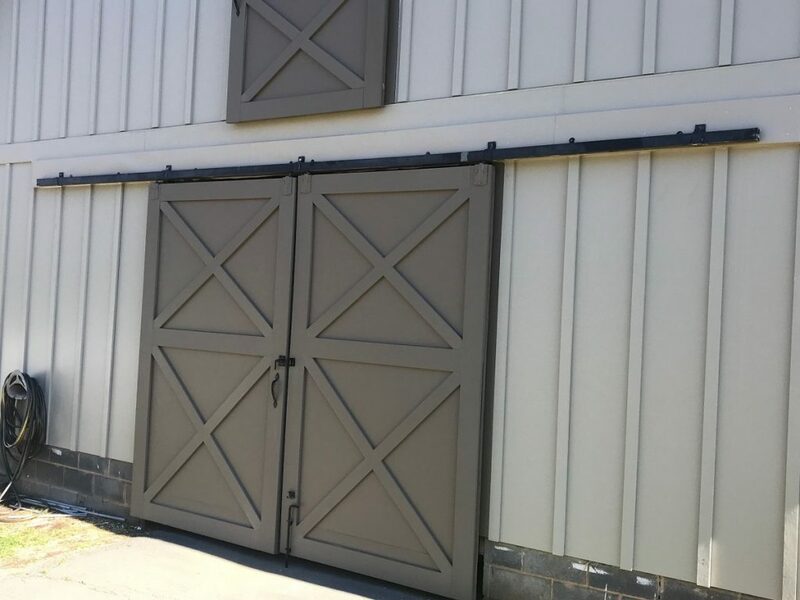 The 4’ x 9’ panels were installed in three colors: the siding, corners, and stall doors had contrasting neural shades, while the doors were dark brown. By using more than one color, the barn has a striking look. The vertical panels also emphasized the height of the structure, giving it a polished look. In addition to the vertical panels, HardieTrim® was installed around all windows and stall doors. The sliding barn doors were rebuilt using the HardiePanel® boards. New fascia and gutters completed the look. 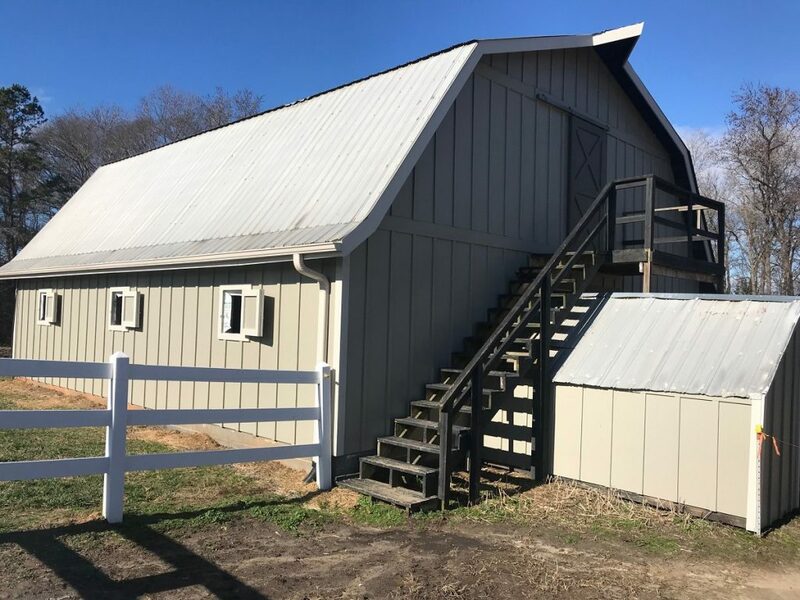 As you can see from the photos, this horse barn looks practically new with the new HardiePanel® siding. It’s a great example of how a structure that undergoes years of wear and tear can be brought back to life with new siding. 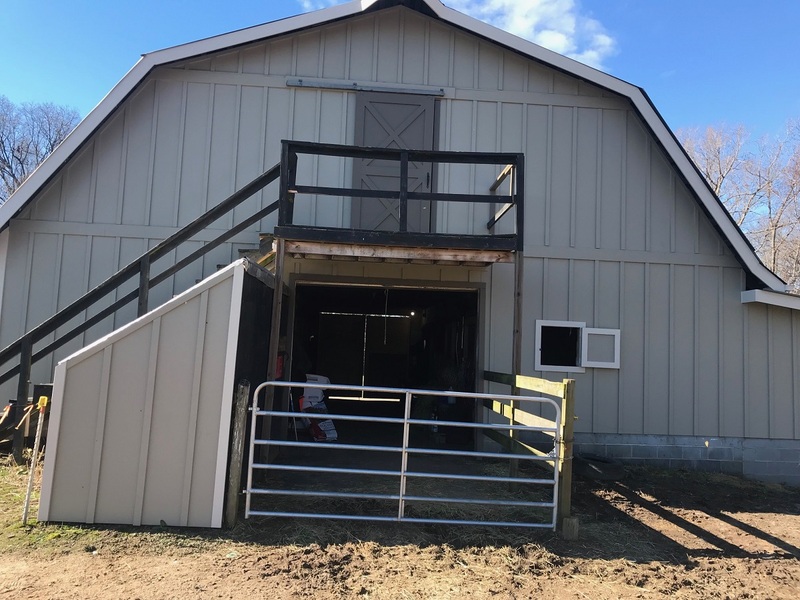 The client was thrilled with the new look of the barn and now has no worries about longevity, as HardiePanel® siding is engineered to last for decades with little maintenance required. Need a New Look for Your Building or Home? 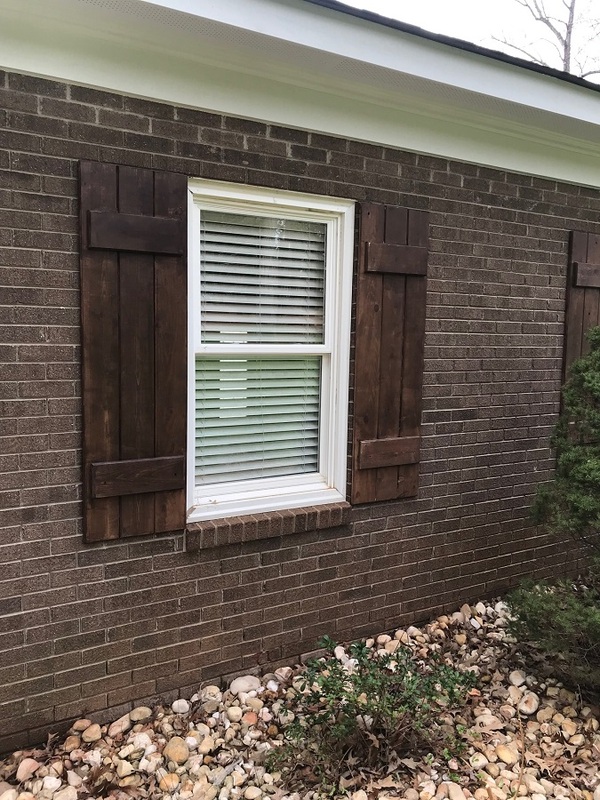 If your siding isn’t performing as it should and looks depleted, then it’s time to call Belk Builders and inquire about replacement siding for your home or building. 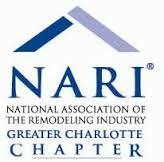 We serve the greater Charlotte area and would be glad to provide you with a free quote for new siding. Call us today at 704-400-4710 or email us at info@belkcustombuilders.com.